-- Winning a stubborn lady turns into the battle of his life for a strong-willed knight. Lady Sofia Beatrice Rosalynde Anne Therese Howard has sworn never to marry. Her young heart was broken once by an arrogant knight. She's spurned every suitor to the dismay of her guardian, King Edward I, who finds that even increasing her dower prize will not lure men to offer for the defiant, but lonely, Sofia. Without her consent, the King betrothes Sofia to Sir Tobin de Clare, the man who broke her heart. Passion explodes. Sofia’s tattered pride demands that he also surrender his heart. The battle of wills between them makes war seem tame. Nothing will stop this ruthless warrior from winning his lady’s hand. In a classic Barnett battle of will and wit, a knight and his lady find that love at first sight is dangerous at best and never easy. Wicked has all the pageantry of medieval England liberally laced with humor. 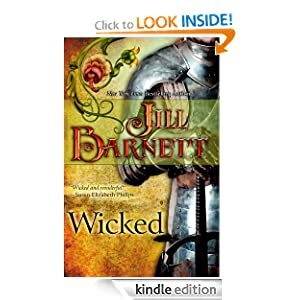 Wicked or to sample this book for FREE! Michael Arroyo has a pitching arm that throws serious heat. But his firepower is nothing compared to the heat Michael faces in his day-to-day life. Newly orphaned after his father led the family’s escape from Cuba, Michael’s only family is his seventeen-year old brother Carlos. If Social Services hears of their situation, they will be separated in the foster-care system—or worse, sent back to Cuba. Together, the boys carry on alone, dodging bills and anyone who asks too many questions. But then someone wonders how a twelve-year-old boy could possibly throw with as much power as Michael Arroyo throws. With no way to prove his age, no birth certificate, and no parent to fight for his cause, Michael’s secret world is blown wide open, and he discovers that family can come from the most unexpected sources. 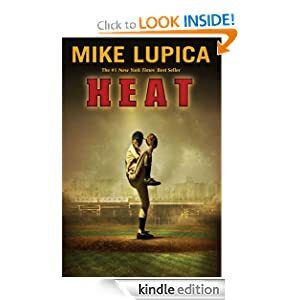 Heat or to sample this book for FREE! -- Set in a near-future, post-ecological and post-economic collapse, Revolution World chronicles the romance between rogue genetic engineer Clio Somata, and martial-artist computer-programmer Seth Boucher. Sadly, the road of love is never easy... in this case, an overreaching US military establishment and an evil multi-national bioengineering firm has decided that they want what Clio and her family has — cutting edge bio-technology. The conflict between the Somata clan and the US government ends up being the catalyst that drives a bunch of libertarian Texan gamers to declare a revolt against the oppressive US government, kicking off a new Texas Revolution! 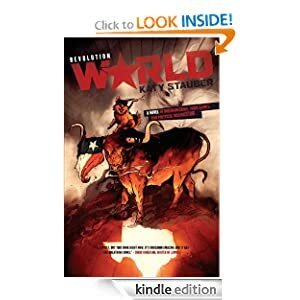 Revolution World or to sample this book for FREE! In the future, it doesn't pay to remember. In Nora's world you don't have to put up with nightmares. Nora goes with her mother to TFC -- a Therapeutic Forgetting Clinic. There, she can describe her horrible memory and take the pill that will erase it. But at TFC, a chance encounter with a mysterious guy changes Nora's life. She doesn't take the pill. And when Nora learns the memory her mother has chosen to forget, she realizes that someone needs to remember. With newfound friends Micah and Winter, Nora makes a comic book of their memories called Memento. It's an instant hit, but it sets off a dangerous chain of events. Will Nora, Micah, and Winter be forced to take the Big Pill that will erase their memories forever? Angie Smibert's remarkable debut novel takes readers on a thrilling ride through shadowy world where corporations secretly rule -- and wish you'd just keep shopping. 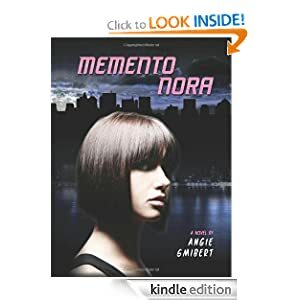 Memento Nora or to sample this book for FREE!